What is the School Tax Credit and how can I benefit? Well, first of all, it costs you nothing and gives your school money for extracurricular activities. 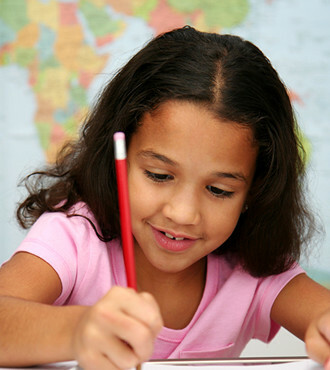 The Arizona School Tax Credit satisfies your Arizona Tax Liability dollar for dollar. The money that you contribute to Arizona Public Schools for extra curricular activities is money that you would pay in Arizona income tax, but you can make the choice to send it directly to your favorite Arizona Public School. The school benefits, and you have made the choice on how your tax dollars are spent. When tax time comes, just figure your tax liability as usual, and then indicate that you have already paid a portion of this liability by contributing to Arizona Public Schools. The credit will not reduce your tax liability past zero. Any unused credit will carry forward for five (5) years. Any individual filing an Arizona Income Tax Return can use the credit. Just five easy steps will do it! Decide which school you wish to support (if you choose to select one). Write a check for up to $400, made out to the Arizona public school of your choice, then fill out and attach your check to the tax credit form. Mail or deliver the check and form to the Arizona public school of your choice. Wear a big smile when you talk to the tax man... you're going to get that money back as a refund or deducted from your state tax bill. Remember... this contribution costs you nothing. Pay it to the school of your choice or pay it to the Arizona Department of Revenue. A form for the 2017 tax year will be available soon for you to contribute directly to the Cedar Unified School District. And, thank you for supporting our extracurricular programs at Cedar Unified Schools! If you need a copy of Adobe Acrobat Reader to view the Tax Credits form above, click here.